NCC expects that you will obey federal, state and local laws; will show respect for properly constituted authority; and will exhibit and maintain integrity and honor in all matters related to NCC. The Board shall authorize procedures as appropriate to student behavior and discipline for a post-secondary institution. For additional information contact the Vice President of Student & Academic Services or designee. The Board of Trustees is committed to providing a safe and healthy environment for students, employees and visitors. It is, therefore, a policy of the college that smoking and tobacco use are prohibited in all facilities and areas of the Northwest Iowa Community College campus with no exception. This includes, but is not limited to, all buildings, indoor and outdoor areas and properties, and any vehicle located on college grounds. Indoor areas and properties include, but are not limited to, all common work areas, elevators, student housing, hallways, college-owned or -leased vehicles, garages, restrooms, cafeterias or dining areas, employee lounges, conference and meeting rooms, and all other enclosed areas on the college campus. Outdoor areas include, but are not limited to, parking lots, grounds, rooftops, plazas, courtyards, entrance and exit ways, and any other areas of the college campus. This policy applies to all students, faculty, staff, consultants, contractors, and visitors. This policy is consistent with the Iowa Smokefree Air Act. For purposes of this policy, “smoking” means inhaling, exhaling, burning, carrying or possessing any lighted tobacco product, including cigarettes, cigars, pipe tobacco, and any other lit tobacco products in any manner or in any form. For purposes of this policy, “tobacco use” means the personal use of any tobacco product, whether intended to be lit or not. This includes smoking, as defined above, as well as the use of an electronic cigarette or any other device intended to simulate smoking. Also prohibited is the use of smokeless tobacco, including snuff, chewing tobacco, smokeless pouches, any other form of looseleaf smokeless tobacco, and the use of unlit cigarettes, cigars, and pipe tobacco. Any person who violates this policy may incur a college penalty and/or a civil penalty under Iowa law. While acting on behalf of or representing the college in any capacity at any location. This policy applies to all persons regardless of whether they are licensed to carry a concealed weapon. Only peace officers whose duties require them to carry a weapon are exempt from the above-stated prohibition. A “prohibited weapon” includes any form of firearm, knife, explosive, incendiary, or other weapon restricted under local, state, or federal regulation. “College property” includes, without limitation, all college-owned or leased vehicles, buildings or other structures, and real property (such as sidewalks, walkways, driveways, open spaces, and parking lots) under college control. Any person who questions the applicability of this policy to his or her potential situation shall obtain written permission from the college’s president or his or her designee before bringing or possessing the item(s) at issue to or at any location that would potentially be covered by this policy. Inclement weather, mechanical systems failure, utility problems, or unforeseen circumstances may require classes to be cancelled or delayed. In the event that conditions affect Northwest Iowa Community College’s operations or schedule, students, faculty, and staff will be notified. Cancellations, early closure or a delay in starting will be made through announcements using the RAVE Alert Service. RAVE notifies all subscribers of important campus alerts. RAVE also offers e-mail alerts and text messaging alerts free of charge. You can find more information and a link to sign up for RAVE on the NCC website: www.nwicc.edu and look for the RAVE sign-up button at the bottom of the page. Alerts issued by NCC via RAVE will be brief and to the point. Late start announcements will be posted by 5:45 AM. Late starts will be announced as a 10:00 AM start. Early closures will state the time of the closure. 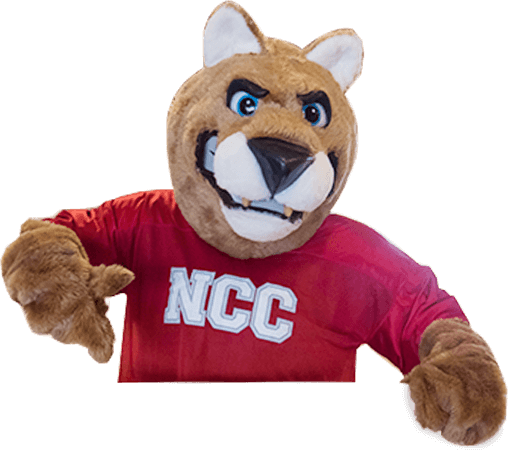 In the event of any circumstance requiring class cancellations or delayed starts, information and updates will also be posted on the NCC website. Follow the instructions of staff personnel in the event of an emergency, (i.e. fire, tornado, bomb threats, etc). Shelter areas and emergency exits are posted throughout the campus. Careless, double, irregular parking, and parking on grass is prohibited. Parking in restricted areas is prohibited. Vehicles parked in restricted areas will be towed and impounded. Towing and storage fees will be charged to the vehicle owner. Students are required to use the parking lots assigned to the instructional division in which they are enrolled. Failure to comply with the regulations will result in a parking violation subject to a $10.00 fine per violation or towed at owner’s expense. If the fine is not paid within five college days, the fine will double. Multiple violations could result in suspension from classes. Vehicles left in the parking lot, for an extended period of time, due to car trouble, flat tire(s) or other reasons should get permission or notify Physical Plant Staff as soon as possible. If no contact is made with NCC personnel after 1 week it will be considered an abandoned vehicle, subject to a $10 fine or towed at owner’s expense. State law requires cars to stop for pedestrians in the crosswalks. Please be aware of people crossing roads. Many activities are available to you at Northwest Iowa Community College. Community activities at discounted costs including recreation facilities, movie theaters, and restaurants in town. Entertainment activities planned by the Student Government Association. A large screen TV, pool table, foosball table, and a game room are available on campus. SGA provides opportunities to be active in legislative issues and attend the (IACCT) Iowa Association of Community College Trustee’s Student Legislative Forum in Des Moines each year. Campus-wide tournament and intercollegiate sporting opportunities. SGA works through the Sheldon Community Recreation Department to provide opportunities to participate in co-ed volleyball, men’s basketball, women’s volleyball, men’s flag football and women’s and men’s softball. Multiple fitness opportunities at our Lifelong Learning & Recreation Center. SGA is the student governing and leadership organization of the College. A President, Vice President, and Secretary/ Treasurer are elected yearly. Student representatives attend SGA meetings twice a month, present student views, and report back to their program on current issues. To plan activities which are of interest to the student body. To develop and maintain rapport between the student body, faculty, and administrative staff of the College. To be responsible for student activities conducted under college sponsorship. To advise the administration on the needs of the students. Student groups may organize upon receiving the approval of the appropriate or the delegated representative. Such groups shall operate in conformance with qualifications and regulations determined by the administration. Failure to comply with regulations may result in disbanding the organization by action of the Board of Trustees or the President. Approval for a student presentation/event shall be secured from the Vice President of Student & Academic Services and the date of the presentation/event will be placed on the College calendar before any public announcement is made. Hours, behavior, and activities related to student presentations/ events shall be determined by the College administration. Only those persons who can be expected to recognize and respect the authority and responsibility of College personnel shall be permitted to attend. Even though the College buildings are secured nightly, NCC cannot assume responsibility for lost, stolen or damaged student tools, books and/or personal effects. Tools, books, and personal effects are generally covered by homeowner’s insurance. It is the student’s responsibility to check their policy or their parents’ policy to make certain that those items are properly insured. Telephone calls for students will be directed to the appropriate division secretary who will take a message and deliver it to the student. In the case of an emergency, please call the main switchboard, (800)352-4907 or (712)324-5061. From a campus telephone, dial Ext. 114 to reach the main switchboard in the case of an emergency.